Before choosing a home builder, many potential customers turn to the Internet to research their options and read reviews. Does your business show up in the top results when people search for the top builders in your area? If not, it’s probably time to consider inbound marketing. Unlike outbound strategies, which can interrupt and irritate online searchers, inbound marketing earns the attention of your target market and provides them with valuable resources that aid in their search for a particular product or service. Why do home builders need inbound marketing? Since a large majority of potential clients research their options online, it’s important for home builders to meet them where they’re looking. By creating information prospects need, inbound marketing provides value to potential customers and positions your company as an online authority. Because of the nature of home building, a lot of builders rely on referrals to boost business. However, if your home building company doesn’t maintain a consistent presence online, you’re missing out on a lot of business. Let’s take a look at some common inbound marketing strategies that work well for home builders. Search engine optimization (SEO) is the process by which websites are optimized to rank higher in search results for targeted keywords and phrases. In other words, SEO helps boost your website to the top of the search engine results when people search for builders in your area. The higher you rank in search results, the more traffic your site will receive, and ultimately the more customers you will attract. With pay-per-click advertising (PPC), you can choose what keywords and phrases you want your advertisement to display for, and if your bid is the highest, your ad will display at the top of the search results. PPC also gets you preferred placement, above organic rankings. If you’re looking to instantaneously increase traffic to your website, PPC is a great option because you don’t have to wait for results. You might be wondering why you need PPC if you implement SEO strategies. While it can take some time to see results from SEO activities, PPC results are instantaneous. PPC is a great way to gain exposure in search results while you establish organic rankings. Potential customers aren’t always ready to make a purchase when they first come into contact with your organization. Email marketing allows you to keep in contact with people who are interested in your products and services. Then, when they’re ready to select a home builder, you will be at the top of their list. You can include opt-in forms in various locations on your website, and encourage people to subscribe for updates and industry news. In addition, you can showcase new homes your company has built and give details about local events and trade shows you’ll be attending. With email newsletters, you can develop relationships with potential customers and provide helpful information that guides them through the buying process. Content marketing is a great way for home builders to share their knowledge and position themselves as industry leaders. To start, you can create a blog and update it with fresh content related to the home building industry and your business in particular. Search engines love content, so blogging can also improve your SEO efforts and help you achieve higher rankings in search engine results. In addition, videos are a great way to showcase your business and encourage customer engagement. By posting videos to YouTube, you can gain a lot of traffic and also gain social proof as people like, share, and comment on your videos. Social media helps home builders spark conversations with potential customers online. Establishing a presence on social media sites will also set home builders apart from competitors. And you don’t just have to use social media to post photos of fancy homes. For example, you can use social media to highlight first time home buyers and congratulate them on the exciting milestone. Platforms like Facebook, Twitter, and Pinterest help you connect with new audiences and grow your brand awareness online. 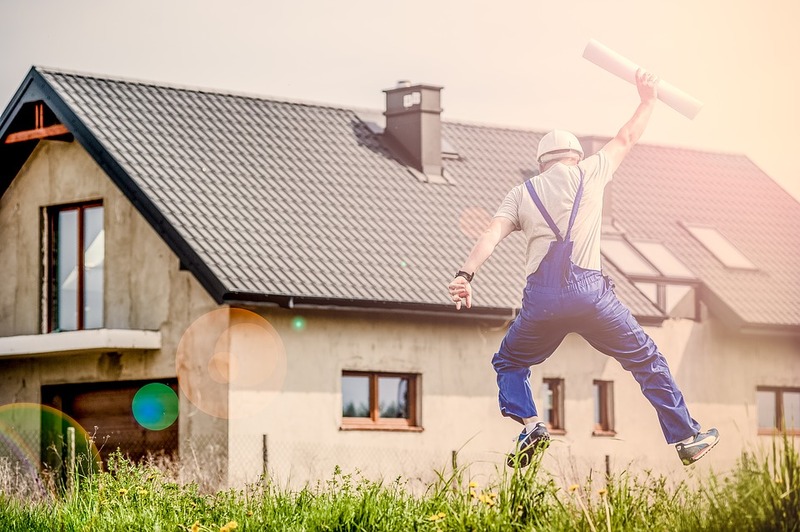 How does inbound marketing benefit home builders? With so many home buyers using the Internet to research various options, it’s important for builders to maintain a strong presence online. Inbound marketing allows home builders to each interested customers where they’re searching online. If you’re looking to attract more customers to your home building company, consider implementing inbound marketing strategies that improve your online presence and educate online searchers about your services. Contact us today to find out how a custom plan from Inbound Marketing Inc. can help your company reach more clients. We’d love to work with you!